Washington’s popular Running Start program, which allows high-school students to earn college credit, is a national standout — but it could be even better, experts say. A new study says Washington’s Running Start program is a national leader when it comes to helping pave the way for high-school students to eventually finish college. In this state, the study found, high-school students in Running Start ended up finishing a college degree or certificate, well above the U.S. average. A majority of those students received a bachelor’s degree. “Washington overall does extremely well, relative to the national average,” said Davis Jenkins, a senior research scholar with Community College Research Center (CCRC) at Teachers College, Columbia University, which conducted the study of Running Start and similar dual-enrollment programs in other states. But both Jenkins and Jan Yoshiwara, the head of Washington’s State Board for Community and Technical Colleges, say Running Start should expand its reach even further. Running Start is the predominant dual-credit program in this state. It essentially gives high-school students a head start on college by allowing them to enroll in community-college classes for free during their junior and senior years. Some students are able to finish out their high-school years in college classrooms, leaving with a diploma and an associate degree. Jenkins thinks the program should market itself more widely. Meanwhile, Yoshiwara wants more minority students to enroll. Both agree that students should choose their courses strategically. The Community College Research Center’s study notes that dual-enrollment programs have grown by leaps and bounds nationally, and Running Start is no exception. In a five-year period between 2011-12 and 2015-16, Running Start grew by 30 percent, to 24,217 students. 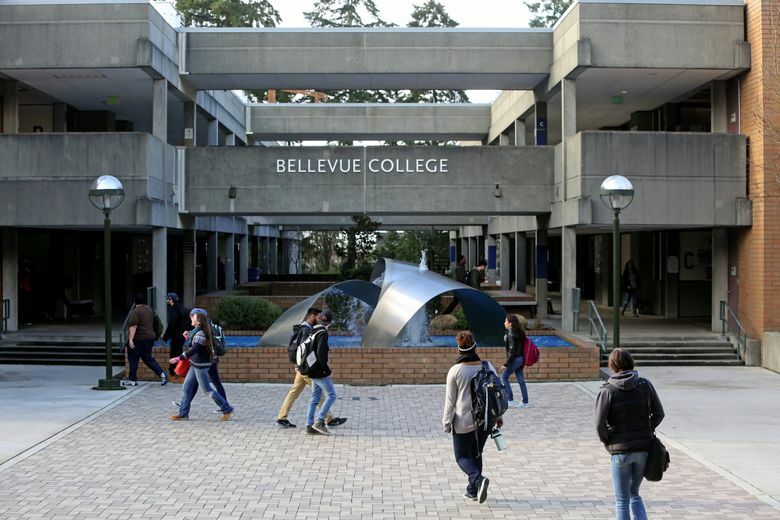 During the same period, community-college enrollment shrank by 9 percent, which is one reason why Jenkins thinks Washington should be encouraging more high-school students to enroll in Running Start. The program has been especially popular with middle-income students, who use Running Start to get a head start on earning college credits, in hopes of reducing their tuition bills, Yoshiwara said. But she’d like to see it do a better job of serving underrepresented minorities (African American, Native American, Native Hawaiian/Pacific Islander and Hispanic students). Among K-12 students, underrepresented minorities made up nearly 37 percent of the state’s enrollment last year. But they accounted for only 19 percent of Running Start students statewide, she said. Yoshiwara thinks minority and low-income students are discouraged from enrolling because of the cost of books, which can run hundreds of dollars a quarter and transportation; neither is covered by the program. For a student who doesn’t live on a convenient bus line, getting to a nearby community college often requires a car, she said. Yoshiwara said the colleges are now encouraging Running Start students to take courses that lead to an associate of science degree, rather than an associate of arts degree, if they’re interested in science or tech. To earn that degree, students take math and science in community college, as a way to prepare for STEM (science, technology, engineering and math) careers.